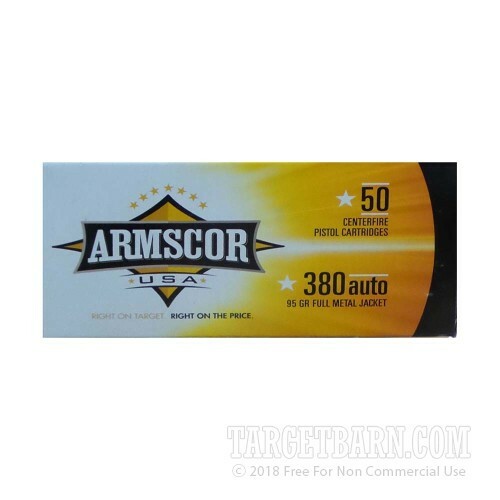 Train with your concealed carry handgun using this inexpensive .380 ACP ammunition from Armscor. This ammo comes in a 1,000 round case ideal for high volume use. Each cartridge in this case fires a 95 grain full metal jacket bullet at 920 feet per second. As .380 Auto loads go, this is a relatively easy to shoot target load that produces snappy but manageable recoil. Armscor ammo is loaded in the USA and the Philippines using non-corrosive Boxer primers and brass cases.